Our list of summer rugby options for 2019 is ever-growing! Please check back for updates. Athletes may sign up for one week at a time or the whole season. Camp is Monday-Friday from 9:00am-1:00pm. Register below through Blue Sombrero. 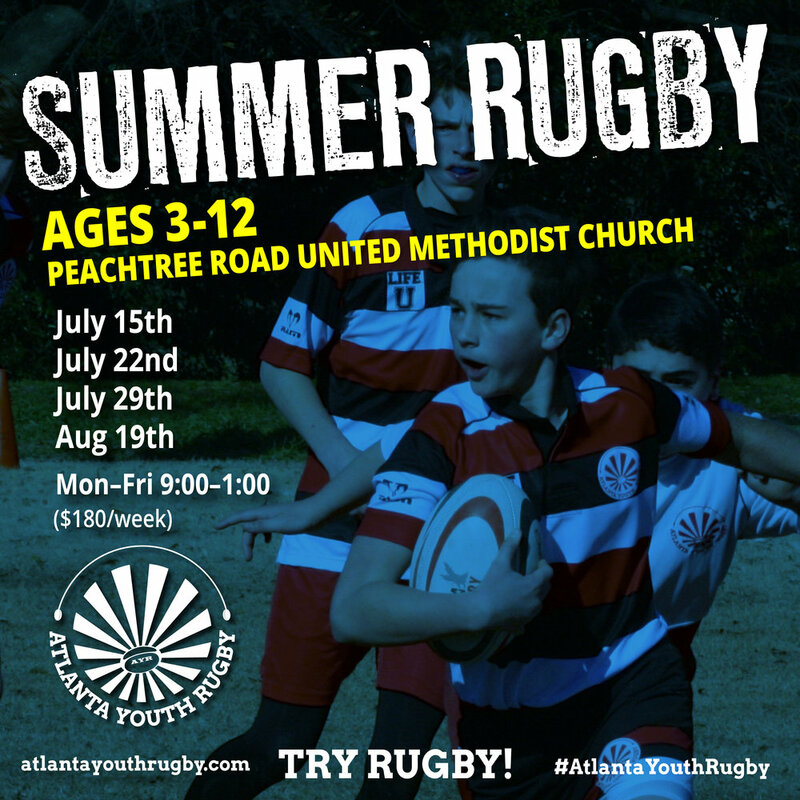 This year there will be four weeks of rugby camp at Peach Road United Methodist Church! Camp will be held Monday-Friday, from 9:00-1:00pm. This camp is for ages 3-12, all skill levels included! Register below through PRUMC’s system. 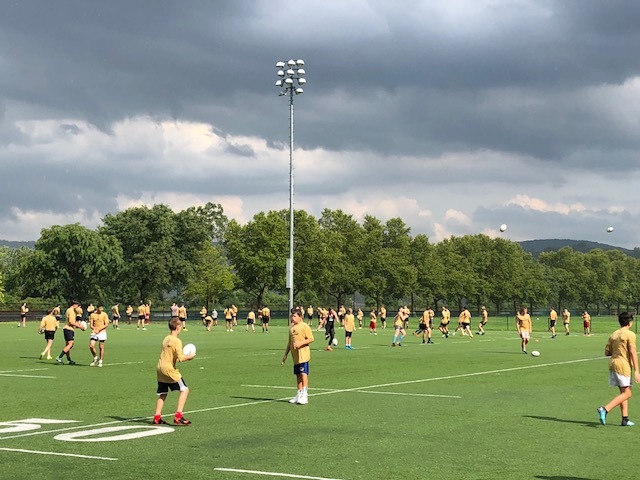 12U and 14U AYR players have had a blast at the West Point Rugby Camp in the past! There are two different camps between July 22-28, 2019. Please reach out to your coach or info@atlantayouthrugby.com if you are unsure which camp is best for your athlete! There are already AYR players signed up, so carpooling opportunities are available if travel is an issue. Life University Rugby is hosting a summer camp for high school boys and girls! More information will be available as summer arrives.